surface and knead until smooth. Divide dough into 40 portions. 2. Combine filling ingredients in a bowl. 3. To make each dumpling: Roll each portion into a circle about 4 inches in diameter and ⅛ inch thick. 1. Place a heaping tablespoon filling in center of dough**. Pinch and pleat edges together to seal. 2. Moisten the top of the dumpling with egg wash and place a whole raw shrimp on top. 3. Steam for 5-7 minutes. 1. 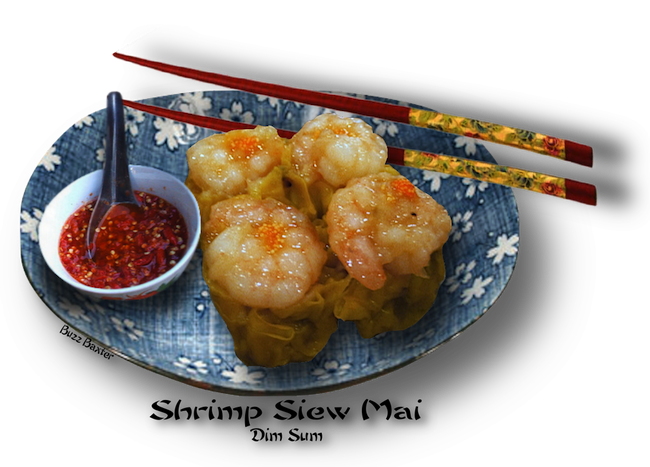 Combine ingredients in a small bowl and serve with the shrimp Dumplings.